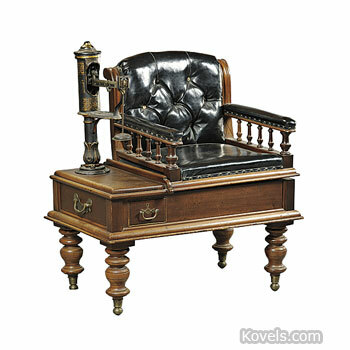 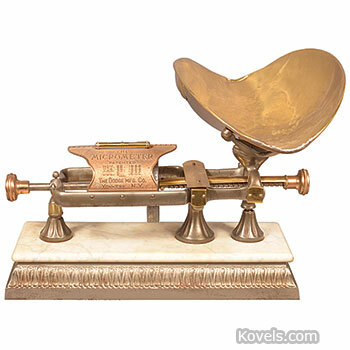 Scales have been made to weigh everything from babies to gold. 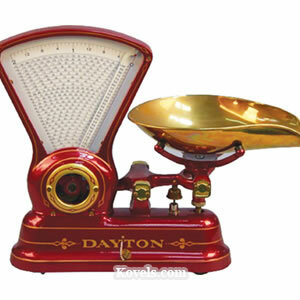 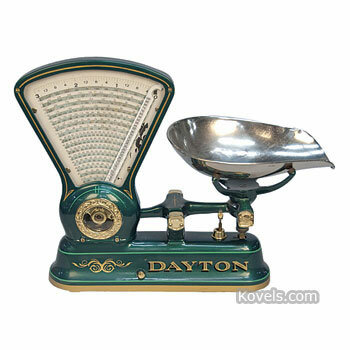 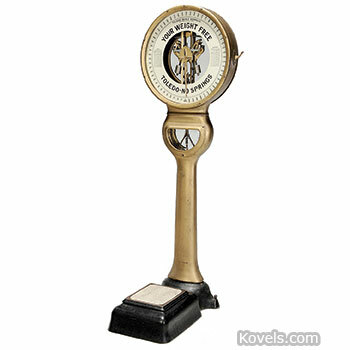 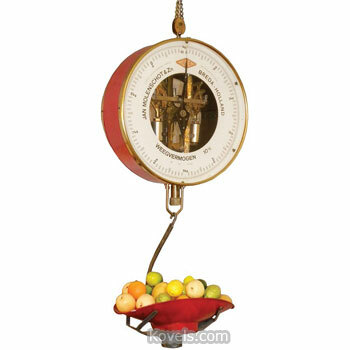 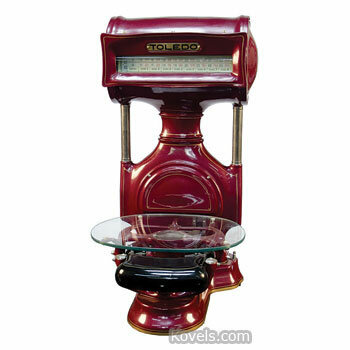 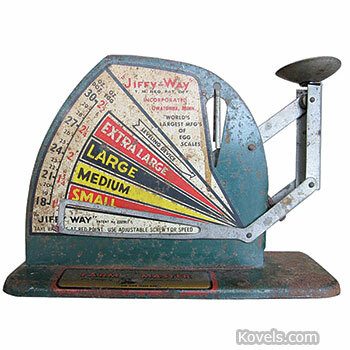 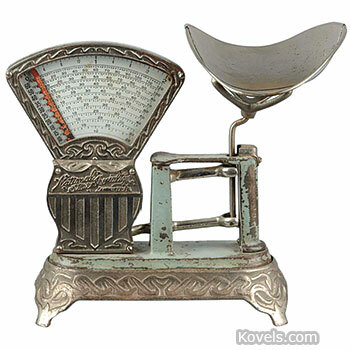 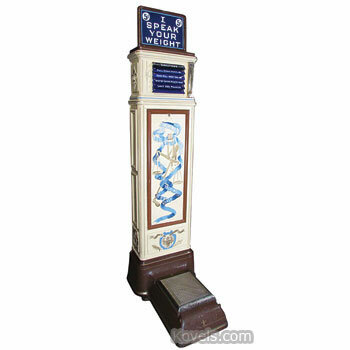 First came balance scales, then spring scales, then by the 1940s electronic scales. 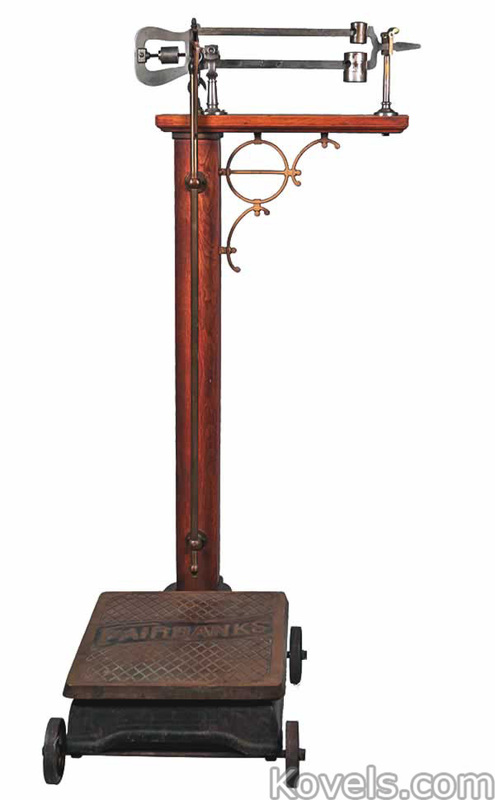 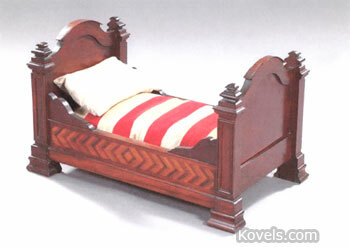 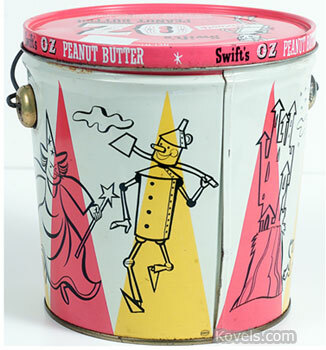 Collectors search for all types. 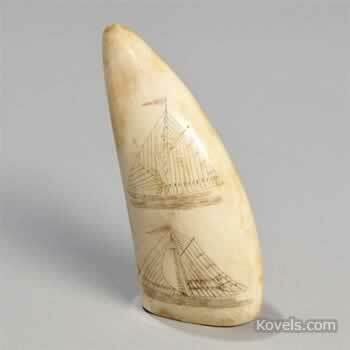 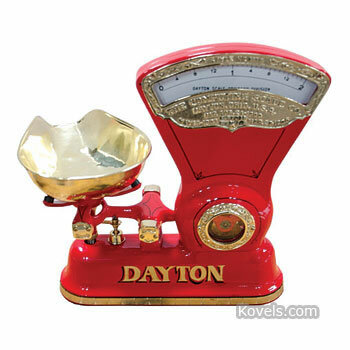 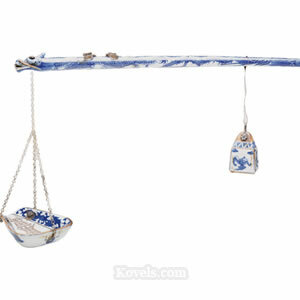 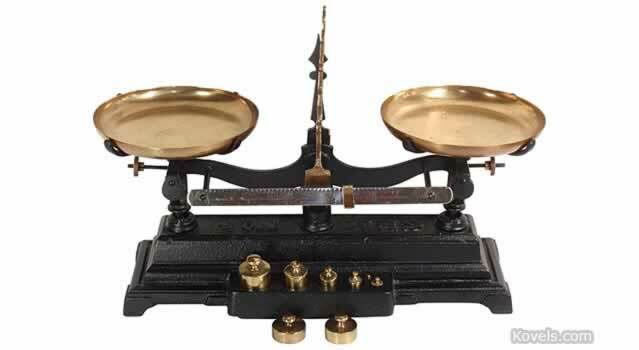 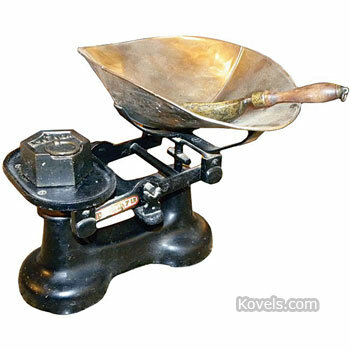 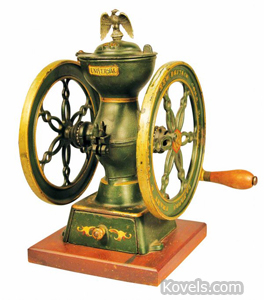 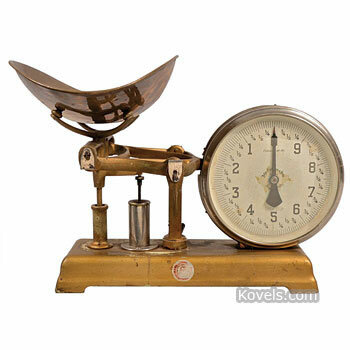 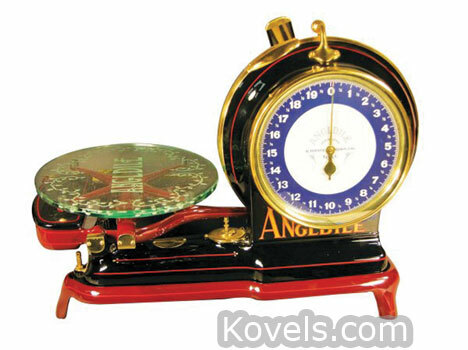 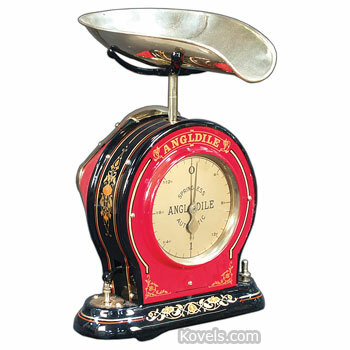 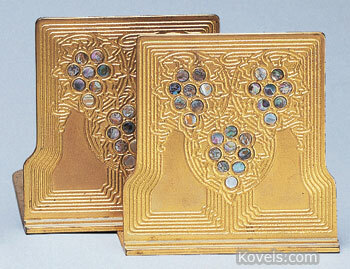 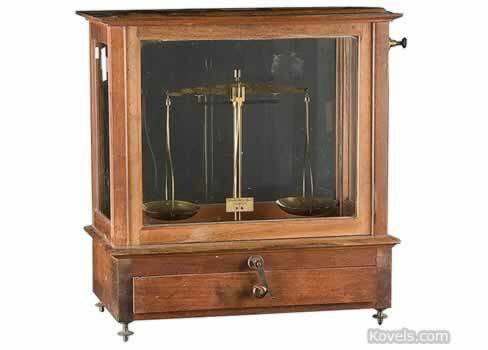 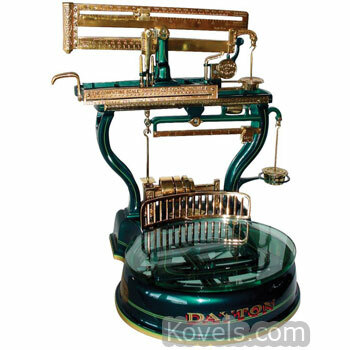 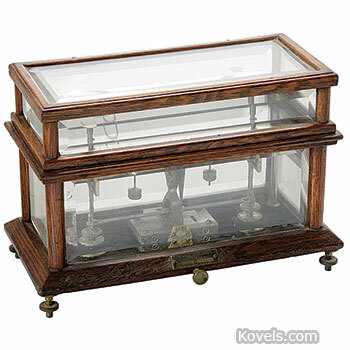 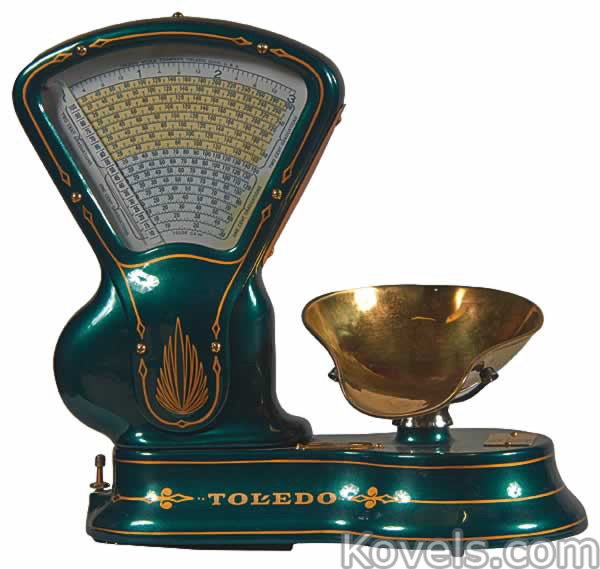 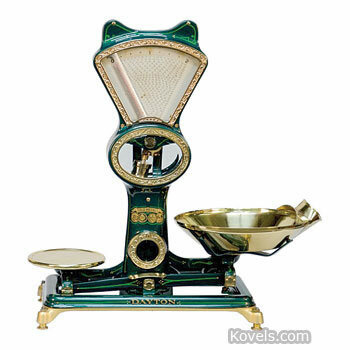 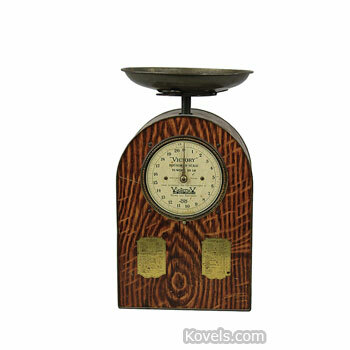 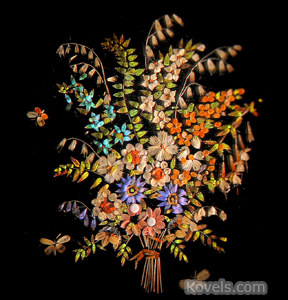 Most popular are small gold dust scales and special grocery scales.